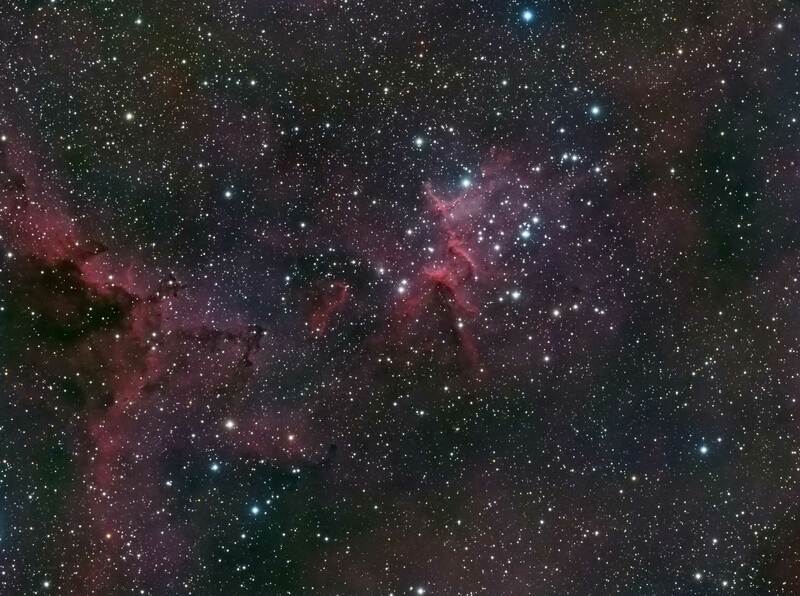 Melotte 15 is an open cluster at the center of the Heart Nebula and is located in the constellation Cassiopeia. 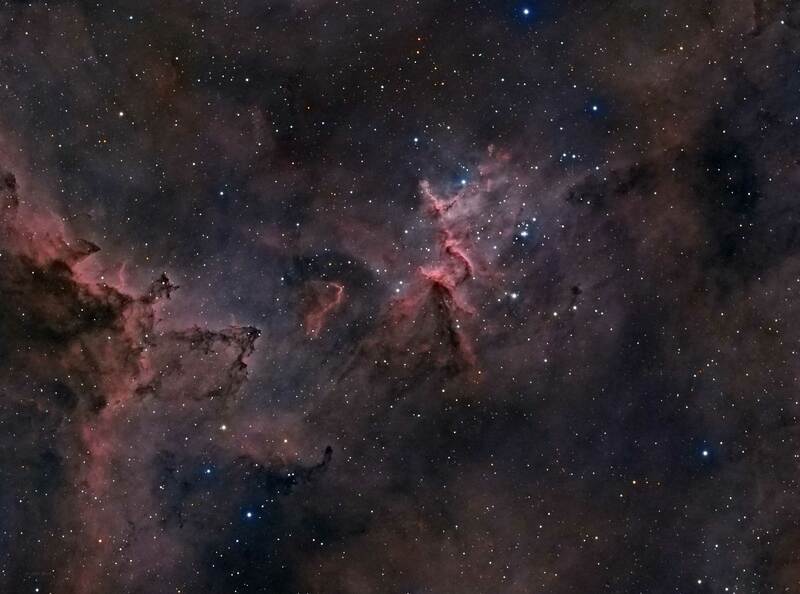 It is very young at 1.5-3 million years and contains several very young and very bright Type O stars. 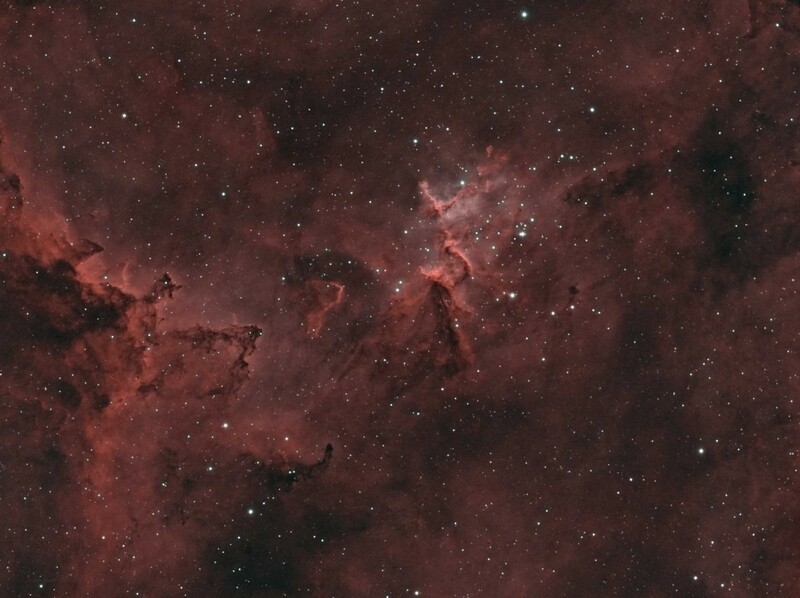 This young cluster is responsible for hollowing out the central area of the Heart Nebula with large amounts of ultraviolet radiation. The cluster is also responsible for shaping the dense dust cloud that forms the branch like formation found in the center of my image. 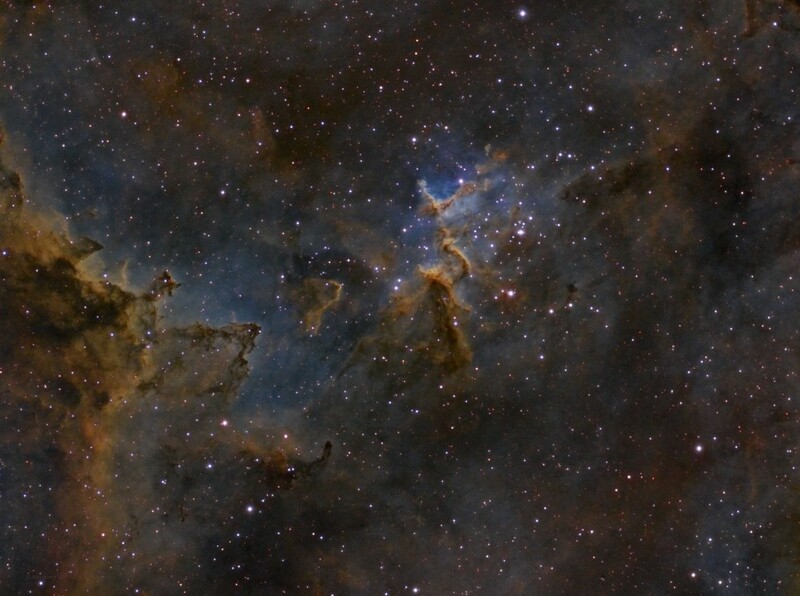 The Melotte catalog is named after Philibert Jacques Melotte. He cataloged 245 open and globular clusters in 1915. These clusters are less known than the Messier clusters but most of them are visible with amateur equipment.